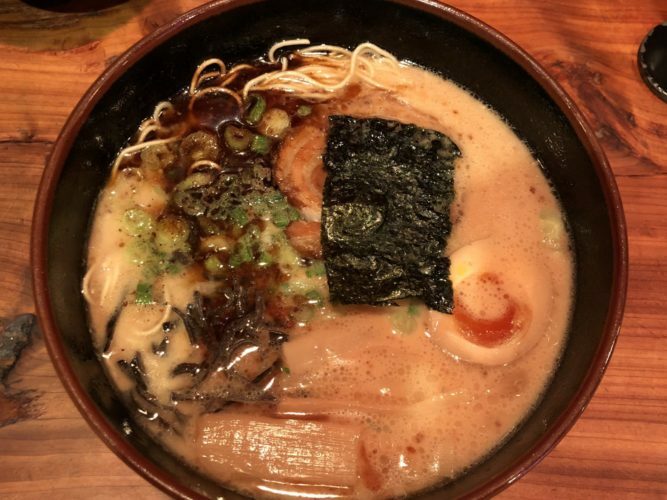 My most recent visit to Austin, Texas brought me to Ramen Tatsu-Ya to feed my growing ramen obsession. 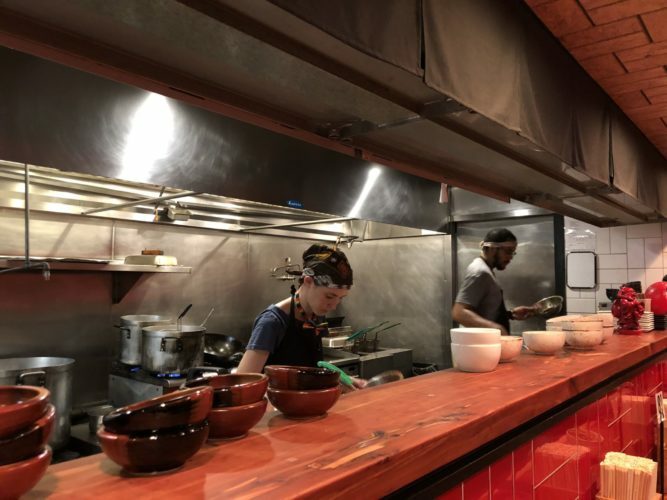 If you’re not hip to all the latest food crazes happening around the world, ramen is the latest one on the rise. 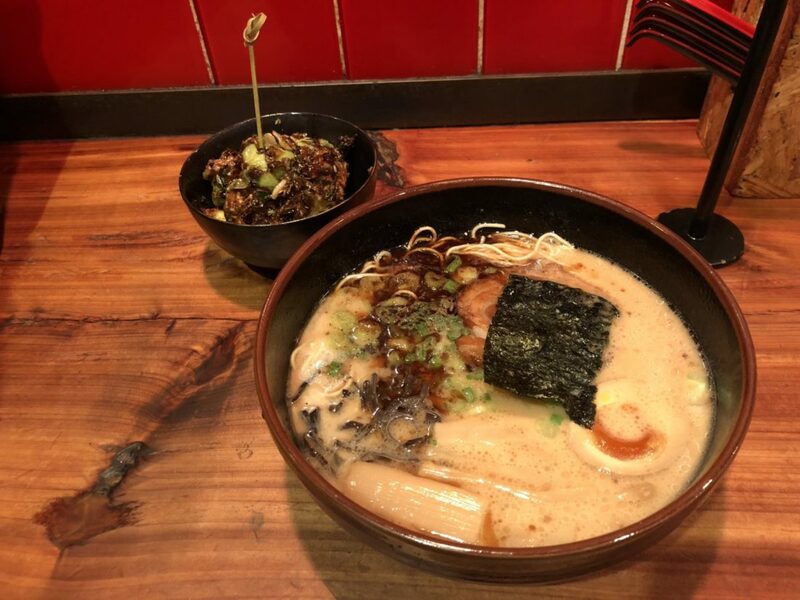 Yes, this is the same ramen that you once ate in copious amounts during your college days. 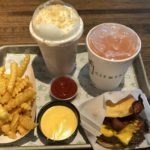 The difference now is that it includes fresher ingredients infused with a medley of flavors and is a far cry from what you inhaled for days on end during your cash-strapped 20s. 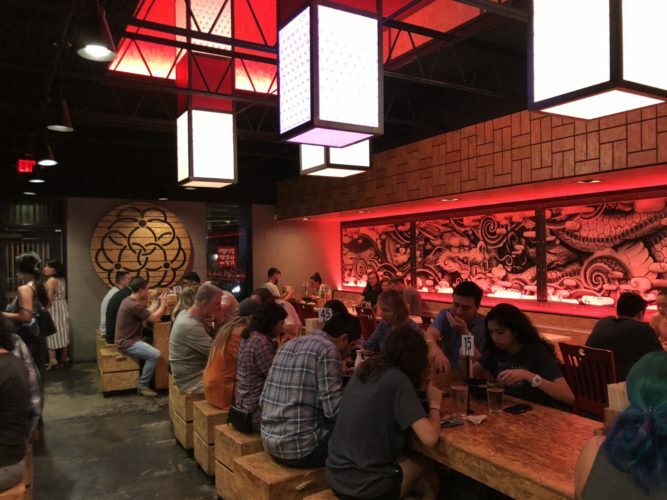 I visited Ramen Tatsu-Ya in South Austin during my visit for a conference. 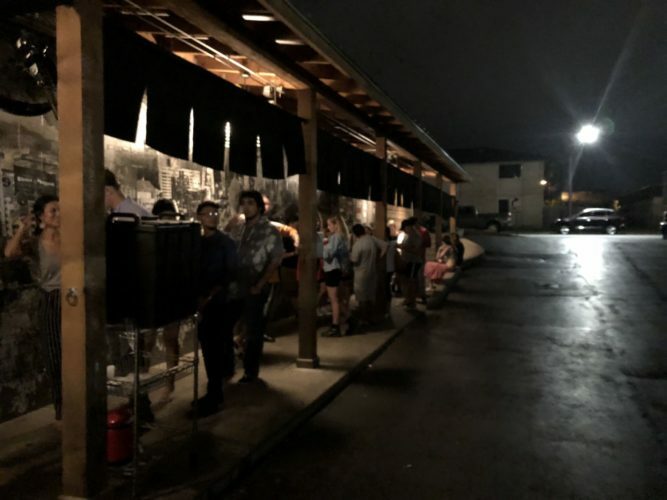 After a quick Yelp search for some nearby ramen, I discovered the restaurant was an easy 7-minute drive from my Airbnb with numerous 5-star ratings. A quick call for a Lyft and I was on my way to enjoy ramen in the unexpected chilly streets of Austin. The line to get into the restaurant was probably the longest line I’ve ever waited in for a restaurant. When I arrived, the line stretched to the rear parking lot but moved along rather quickly. The wait staff came through the line taking drink orders and delivering them as patrons waited in line. There were also racks throughout the line filled with menus so that you can figure out what you would order once you arrived to the front. My wait time was approximately 35-45 minutes before I placed my order. The ordering process was quick and efficient. Once I got inside, the helpful staffer behind the counter quickly described the menu items I inquired about. I settled on the sweet & sour yodas for my appetizer and the Tonkotsu Sho-Yu Ramen Bowl for my main course. My first dish was in front of me within 5 minutes of sitting down at my table. This meal was, hands down, one of the highlights of my trip. The sweet & sour yodas were crunchy and full of flavor. 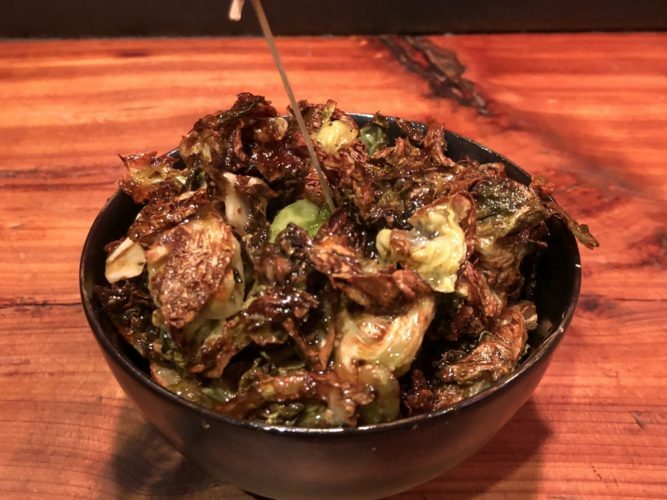 I was skeptical about them at first because well… brussel sprouts (insert “eww” face here)! In all honesty, who really ENJOYS brussel sprouts? However, the cashier assured me that it would be a treat and he was right. I couldn’t stop eating them and had to force myself to stop to save room for my ramen. Sweet & Sour Yodas aka The Yummiest Brussel Sprouts EVER! My ramen bowl was also a delicious delight. It consisted of pork bone broth, soy sauce blend, chashu, ajitama, menma, scallion, nori, pepper and of course, ramen noodles. I did my best to use the chopsticks provided and surprised myself at how well I handled them! I’ve been taught all my life that you should not slurp your soup but with ramen, it’s considered a compliment when you do. Slurp, slurp baby! 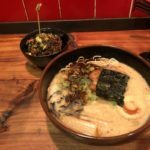 Anyone visiting Austin should definitely visit Ramen Tatsu-Ya if you have a craving for some slurp-worthy ramen. 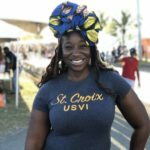 Don’t let the long line fool you – you can be in and out within an hour when you plan accordingly. I recommend not going there on the brink of a “hangry” state to avoid an unpleasant experience. Chat up the folks in the line by asking about what they plan on getting and if they’ve eaten there before. Figure out what you’re going to order while standing in the line to speed up the ordering process. You’d be surprised at how fast the time flies by. 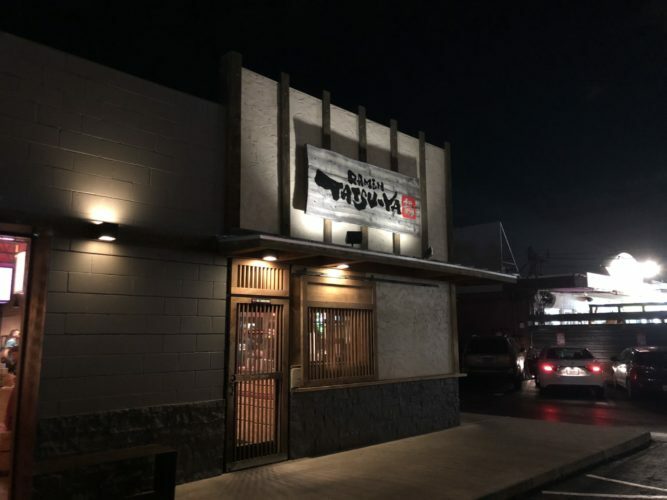 Ramen Tatsu-Ya has the official Cruzan Foodie stamp of approval and it will surely hit the spot after the first bite. Notice That Everyone’s Head is Down! Slurp It Up! Have you ever had ramen before? If not, would you ever try it? Be sure to comment below with your thoughts and share this on your social media channels like Facebook & Twitter using the share buttons below!